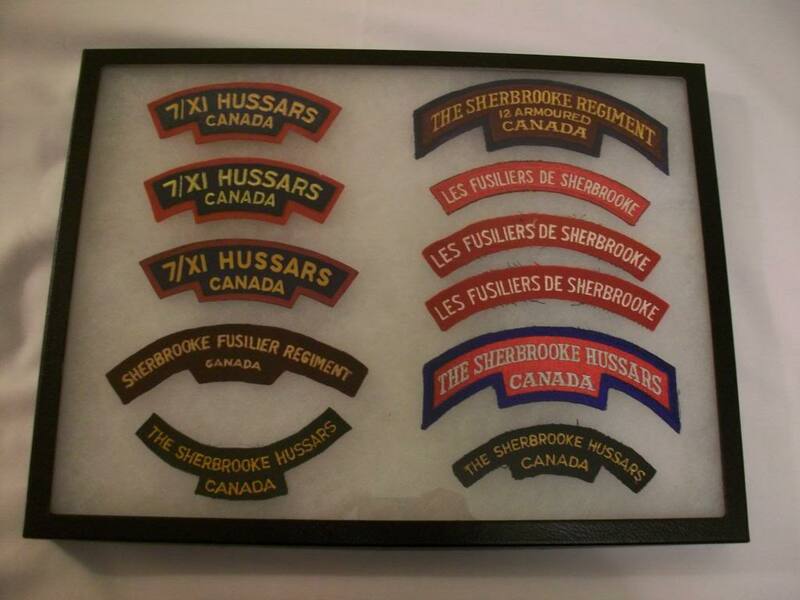 I'm interested in adding a Sherbrooke Fusilier 27 Arm regiment flash to my collection. Dose anyone on here have one in there collection, and are there any different variations? Judging by this picture it is a WW2 british made glueback,post a picture from the backside please. Some of these were also made up for reunions. They have a black backing without the embroidery showing through. Bill wrote: Some of these were also made up for reunions. They have a black backing without the embroidery showing through. Would this one fit in that catagory? Anyone have any pics of the more common variations? I was wrong,it's not a glueback,and not WW2.The answer is in the previous posts. Oh boy I was duped. There's a picture of pretty much the same flash in the 'The Canadian soldier in NW Europe' book. Got this one from the Collectors Guild about 2 years back I reckon. Although the "Canadian Soldier in NW Europe" is a good general reference book, one of its weaknesses is the insignia section in which the examples illustrated in that chapter should be treated with caution. Here on I've been watching on ebay. Its a version I've never seen, anyone have any thoughts. 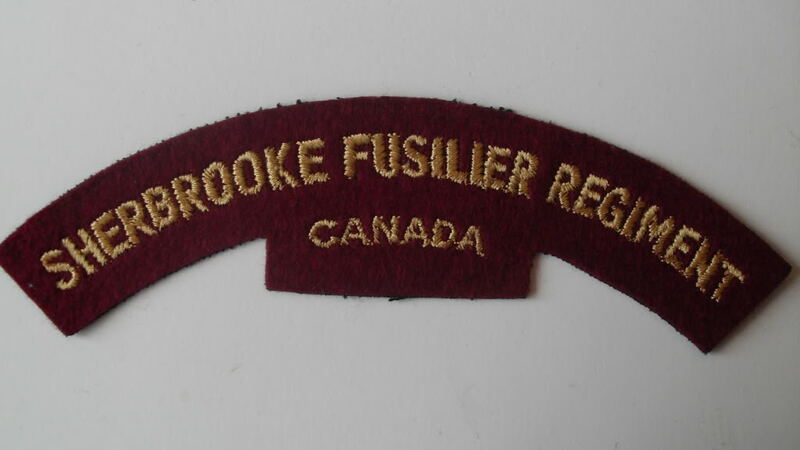 Mike's example of an embroidered Sherbrooke Fusilier Regiment shows the correct type of backing and embroidery style. The same flash can be found in starch back. The one in the ebay listing appears to be a cut down reunion type. Note the "gray" fluff around the embroidery. 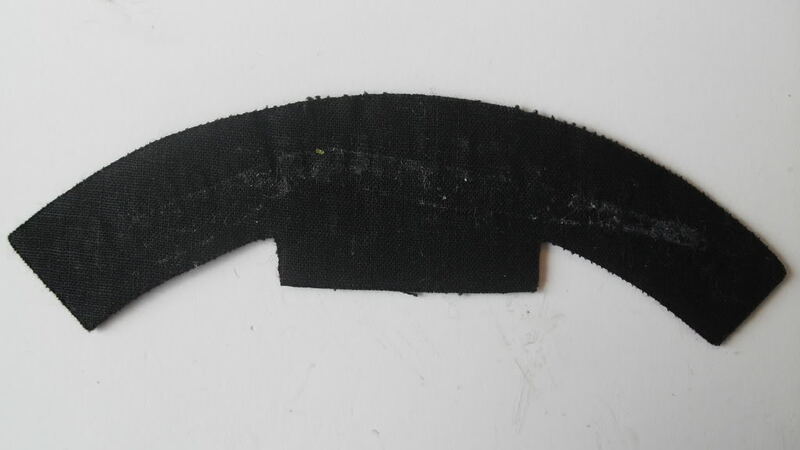 That is a modern backing/stiffener used in making embroidered patches and crests. A dead give away that the item is not SWW era. 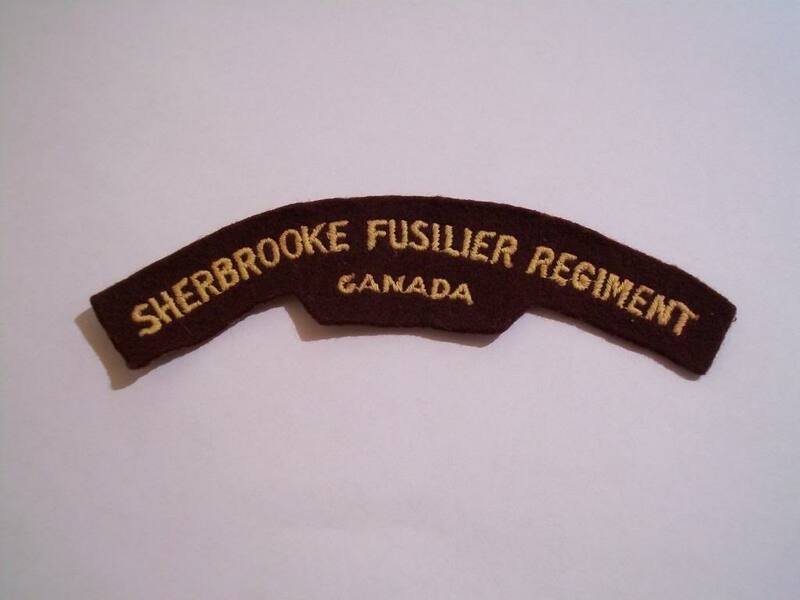 Is there any published reference material for Sherbrooke Fusilier shoulder flashes? I've found this flash on ebay I believe its a british made embroidered flash. Anyone have any thoughts on it before I bid on it? Thoughts as in what way? Repro, it is not. Starch back pattern dating to late spring summer of 1945. My knowledge of Canadian cloth is limited. This pattern resembles the post war reunion pattern and my knowledge of other patterns of SF flashes is weak. I was fairly sure the flash was a starch back but I wasn;t sure. Thanks for the help. Hello Lorne, The reunion titles are nearly identical, except they have a backing glued on, and if you peel back a corner, you find a gauzy fuzzy material. Lorne, I am not trying to be mean to anyone but I have to ask. The badge is only listed for $35.00, not a lot of money by today's standards, if Bill had not been around to identify the badge, then would you have bid on it? For 35 dollars I would take a chance, but I'm certain it will go for much more than 35$. If past experience on ebay with SF flashes has taught me anything its that these flashes are in high demand and the prices are often even higher. With the knowledge thats its a legit period piece I'm willing to play the game to get it. But I understand where your coming from. Thanks for all the help guys, this arrived today in the mail. I'm really excited to be adding this piece to my collection. This regiment holds a special place for me as my great uncle served with the Sherbookes. Hi Lorne, An observation on your title. It appears to have been "customized" by having the sides around the "CANADA" trimmed on an angle. They should be more of a 90° than the bevel. This does not make the title bad, but it has been altered.